Portland Thorns, shame on you. Shame on you for winning the 2017 NWSL Championship over the North Carolina Courage. 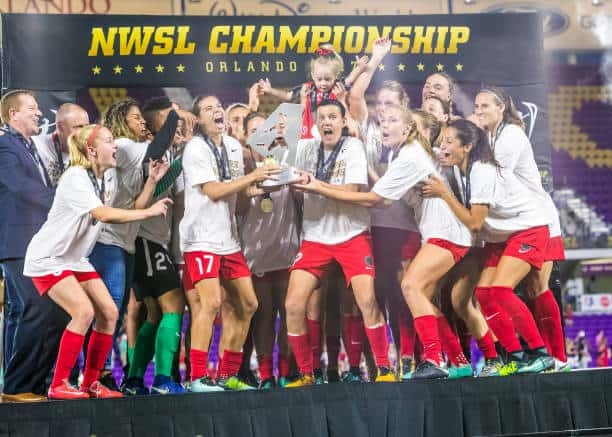 Right now, the league is in the best position it’s ever been in; no women’s professional soccer league in the United States has ever surpassed four years of existence. The NWSL broke that slump, marking its fifth season this year. 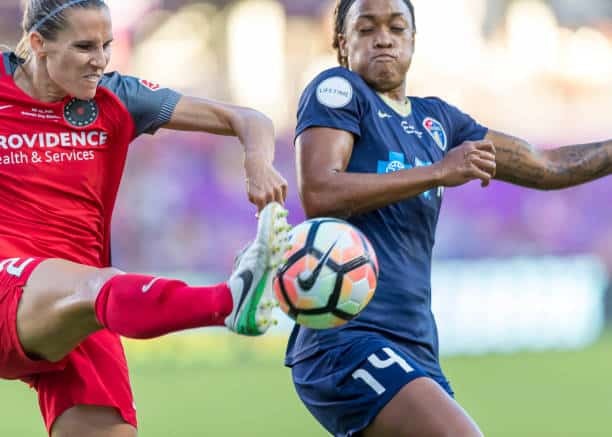 In its fifth season, many highs and lows occurred: Marta, Brazil’s top-notch striker, came to the league, Carli Lloyd sustained yet another injury and there were ACL tears left and right. 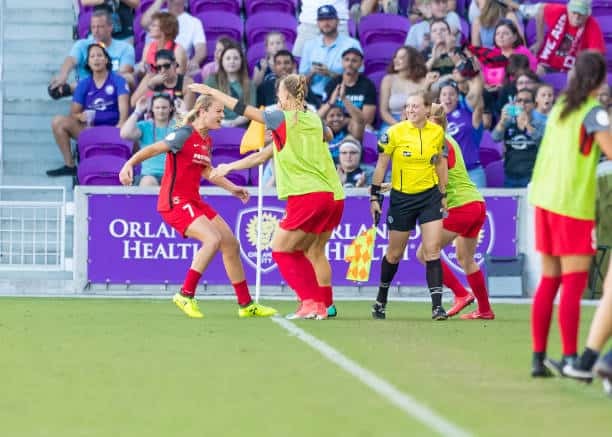 Then, the season concluded on Saturday when the Courage and Thorns battled for the NWSL championship title at Orlando City Stadium. And a battle indeed it was. 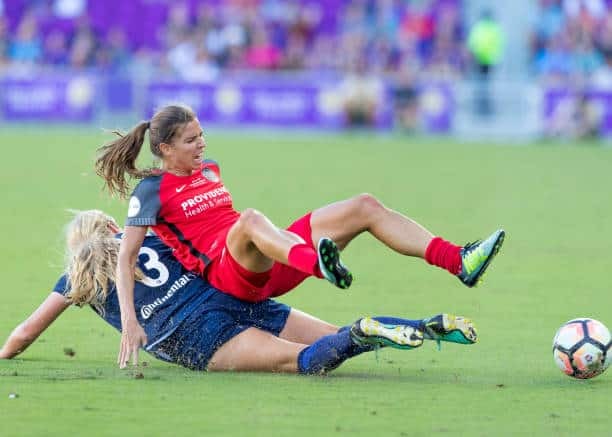 After spending months on the sideline with a back injury, Tobin Heath featured in the final match for the Thorns, and was particularly busy – injuring players, that is. In the opening five minutes of the match, Heath collided with Courage defender Taylor Smith. Smith immediately went to ground. Clutching her shoulder in her arm and kicking her cleat into the turf. Meanwhile, Heath, who’s also Smith’s international teammate for the United States Women’s National Team, simply walked, away as if nothing happened. Smith remained on the ground for a minute before coming off for further evaluation. Taylor Smith tried playing for another three minutes, but another collision with Heath – this time less brutal – forcing Courage head coach Paul Riley to make an early substitute, sending in Makenzy Doniak. Heath never received a yellow card from referee Danielle Chesky. A mere 25 minutes later, still in the first half, Heath collided with another player. This time, Courage forward Kristen Hamilton hit the turf with a thud, grabbing her knee and screaming in pain. Riley immediately got up from his bench and called for Heath’s ejection from the match. Once again, Heath did not receive a yellow card. Hamilton was forced off the pitch, and Riley substituted Jessica McDonald in her place. At halftime, Lifetime TV sideline reporter Julie Foudy revealed Hamilton sustained an MCL injury, which could be a potential tear. She will get an MRI later this week. Thorns midfielder, Lindsey Horan, followed her teammate’s lead. Taking down Courage midfielder McCall Zerboni. Referee Chesky ignored the blatant foul, and told the players to continue the match. It wasn’t until the 41st minute that a Thorns player finally received their first of three yellow cards. The recipient was Heath, for a hard foul on Doniak. Soon after, Thorns striker Hayley Raso received a yellow card for stepping on Zerboni’s ankle late. The final yellow card went to Iceland international, and Thorns defender, Dagny Brynjarsdottir, for a foul against Courage forward Ashley Hatch. It’s incredible, that even with blatant fouls committed left and right, Portland still won the match. Horan managed to score a goal in the 50th minute, putting the ball past Courage goalkeeper Katelyn Rowland. However, if Chesky was doing her job, Portland would have never had that chance. Because Horan should have seen a red card for her foul earlier on Zerboni. Horan’s foul wasn’t just a simple tripping incident; Horan tackled her almost as if she was playing in an National Football League game. But, even if that’s disregarded, two yellow cards should have been issued to Heath for injuring Smith and Hamilton. Thus leading to her ejection. Putting Portland a player down for the rest of the match. It’s difficult to have a growing league, but at the same time have players injuring others. Mark Parsons, head coach of the Portland Thorns, told his team to be aggressive. At this point, his version of aggressive seemed like targeting. Since decisions in soccer have a finality to them, it makes you wonder if Video Assistant Referee (VAR) is brought in for next season. Although, if there was VAR for this game, those referees probably catch some of these refereeing errors. This is certainly something the next NWSL commissioner, (the spot is currently vacant after Jeff Plush’s sudden resignation back in March) to consider. You could say, aggressive play is what the NWSL needs in gaining recognition globally. However, injuring another player in winning a championship, is crossing a thick line. The NWSL should consider fines against Heath, Raso, Brynjarsdottir and – even though she wasn’t carded – Horan as well. If the league is going to get better, they need to start laying down some rules and make sure players follow them. You can listen to Rachael McKriger, Erik Watkins and Sean Garmer each week. Right here on W2Mnet.com or I-Tunes, Youtube and more on the Soccer 2 the MAX Podcast.